In keeping with the claim to Rajput heritage, there are many Mair Rajput gothras that have made their cases individually. Several of these gothras in 1901 claimed to be Bhatti Rajputs by origin. The Bhatti Rajput tribe is known as Yaduvanshi or Chandravanshi. One of the Bhatti possessions was known as Bhattiana, which included all of Sirsa and the adjacent portions of Hissar (Ibbetson 144). Ibbetson mentioned "how almost universally they [Bhattis] trace their origin to Bhatner in Bhattiana or at least to its neighborhood" (145). Some of the Mair gothras described below also do the same. In addition, history turns up possible Rajput connections for other gothras. But before describing these connections, a few geographical notes are in order. The former independent state of Jind is now a city found in the state of Haryana. Gujrat (not the same as India's state Gujarat) was west of Lahore and close to Sialkot and Gujranwala Districts. All three areas are in present-day Pakistan. Babbar: This name is also the name of a Jat tribe of Dera Ghazi Khan. In Bahawalpur, this Jat tribe gave the following genealogy: Raja Karan had a son named Kamdo who had a son named Pargo who had a son named Janjuhan who had a son named Khakh. Khakh had four sons: Babbar, Gabbar, Rabbar, and Jhaggar (Rose 31). Many Rajputs who took to agriculture eventually came to call themselves Jats. Because both Jats and Rajputs controlled much of the land, it is difficult to draw a definitive line between the two. This is why the Jat connection is significant. The Babbar who are Mair Rajputs in 1901 claimed a Rajput heritage, saying that "babbar" means "lion" (Rose 440). Bagga: "The Bagga claim descent from Rao Chhabila of Delhi whose complexion was bagga, which means white in Punjabi whence this name" (Rose 440). There was also a Bagga chief in northern Punjab. His name was Budh Singh Bagga and he is described by Saggar. "He was the son of Sardar Amar Singh Bagga and was of the Kanhaya Misl. He inherited the family estates in 1795. He held Majitha, Sukalgarh, Bhagowal and other territories in Amritsar and Gurdaspur districts" (Saggar 61). He fought against Maharaja Ranjit Singh in 1809 after failing to meet the latter's demands. Ranjit Singh won and confiscated all of Bagga's estates including the three districts of Behrampur, Dharamkot, and Sukalgarh. He left to Budh Singh Bagga an estate at Dharamkot which Bagga held until his death in 1846. Baghel: In the ancient work entitled "Komarpal Charitra," Baghel was listed as one of the Rajput tribes of Rajasthan (Tod 69). Walker described the Baghel, or Baghela, as one of the chief Rajput clans who played a major part in history. "Baghela or Vaghela of Gujarat...are related to the Chalukyas, and have given their name to Baghelkhand" (275). Bagri: The Bagri are usually classified as Rajputs or as Jats. It is no surprise that some of them also became goldsmiths and call themselves Mair Rajputs, as many Rajputs would have chosen the goldsmithing profession. Ibbetson speculated that the "Bagri Rajputs are probably Bhatti, or possibly Rahtor" (139). Bhutta: See Roda. Under "Jat tribes of the Western Plains," Ibbetson wrote: "The Bhutta are said by Mr. O'Brien to...be descended from Solar Rajputs...They are said to have held Uchh (in Bahawalpur) before the Saiyads [Muslims rulers] came" (112). This coincides remarkably with the account given by Rose under the gothra Roda. Bir: It is currently pronounced "Beerd." This may be a variation of "Beer" or "Veer" in Sanskrit, which means "brave." Dhalla: Rose says that this gothra means "flag-holder" (440). I am also told that one of the chief councilors of Maharajah Ranjit Singh was Rattan Singh Dhalla. Dhariwal: This is a famous Jat tribe and is also a Mair Rajput gothra. Ibbetson wrote that the Dhariwal "are also said to be Bhatti Rajputs, and to take their name from their place of origin Daranagar. They say that Akbar married the daughter of their chief Mahr Mithra...their headquarters being the northwestern corner of the Malwa, or Ludhiana, Ferozepur, and the adjoining parts of Patiala" (123). Desor (Dasaur): I have been told that Desor origins are to be found in a place named "Garh Mukteshwar" somewhere in Rajasthan. However, this is not certain because today, there is a city by that same name that is in Uttar Pradesh near the city of Meerut. Some time ago, some Desors must have emigrated to Punjab from Garh Mukteshwar. The origins of the Desors in Punjab are to be found in the area bounded by Jullundur/Hoshiarpur/Kapurthala Districts. There are 2 historic sites (jatherai) associated with Desors that I have visited and photographed. For more information on this gothra and to see the jatherai pictures, click here. Dhunna: Rose on page 440 described the Dhunnas as follows: "...[they] say that the Chandravanshi Rajputs once ruled at Tolandi (Talwandi?) near Delhi and that of the two sons of Ahu, one of their line, Dhelo took to agriculture, while Dhunna worked as a goldsmith. Both brothers settled at Bhatner and had the same family priests and bards." The Dhunnas also preserve some old Rajput customs. Gogna: Mr. Pawan K. Gogna tells me that this goth started with King (Badshah) Gogan (not Gogna) in the 15th century. He knows that the king ruled near Ajmer, Rajasthan but has been unable to pinpoint the exact location. Gogan Badshah's kingdom was attacked by Islamic invaders and when he was betrayed by some of his own people, his minister helped him escape with his family to a village named Raho near Nawanshahir. However, the Islamic ruler traced Gogan Badshah to Raho and had him killed. In order to protect her honor, Gogan's wife committed sati. The minister escaped with Gogan's two sons, who would carry on the Gogna name. Although there is no surviving literature from that time period, Pawan Gogna has seen some historical carved stones and provided pictures of them. The first stone inscription is dated 1502 Vikrami Samvat (Indian era), or 1445 AD, and apparently was carved just after the death of Gogan Badshah in Persian script. It reads: "The temple in honor of Smt. Brahm Devi alias Bhagwanti w/o Shri Gogna gothar Kachwaha Rajput, Raho was installed in 1502 vikrami by Thakur Mathura Das Gogna." It can be concluded from this information that the GOGNA gothar is a subdivision of the Kachwaha Rajput tribe and came into existence around 1502 Vikrami Samvat (1445 AD). The second stone is in Gurmukhi script and dated 1743 AD. The two stones were recovered from an ancient narrow well at the family's historical place called "Gognaia di Sati." The Gognas have recently established a temple at this place. *Stone inscription information provided courtesy of Dr. Gurcharan Singh Sake. Jaura: "The Jaura derive their origin from the simultaneous birth of a boy and a serpent, jaura. The serpent died but the boy survived...Their tradition is that Sham Rajput of Bhatner, had two brothers, Kaku and Budhu, and 13 sons, including Jaura and Chhina..." (Rose 440-441). They are still said to revere the serpent, another symbol of a martial heritage. Also see Nischal. Khangar(Khungar): "The Khangar claim to Rajput lineage is supported by many legends. There is undoubtedly some connection between the two; but prima facie it is much more likely that the Khangar should become a Rajput, than that a Rajput should become a Khangar" (Blunt 228). The latter part of Blunt's statement would be obvious to most Mair Rajputs. Khangar is a gothra and not a tribe. A person's gothra is passed down from the father's side and no one can simply become a Khangar while many tribes did become Rajput tribes. Tod listed the Khangar as one of the aboriginal clans of Rajasthan (99). Khich: Khich is a variation of Khichi, which is one of the Chauhan clans. Ibbetson wrote that they "are said to have come originally from Ajmer, the old seat of Chauhan power, thence to Delhi, and from Delhi to the Sutlej during the Mughal rule" (146). Luddhar(Ladhar): I am told by a Luddhar descendant that their great-grandfather whose name they do not know used to hold Teenkotla, a group of three villages, near Classwala, in the Sialkot District of present-day Pakistan. When the British annexed Punjab in 1848, they wanted to punish the landlords who had opposed their aggression. Some of the Mair Rajputs fled to the jungles of the Himalayas in order to escape the punishment. A few generations before this all took place, the Luddhar family had left Rajasthan and came to Punjab via Multan. They founded the village Lodra in the Multan area, and eventually settled in the Sialkot area, which is currently in Pakistan. Rose classified the Ladhar under both Jats and Mair Rajputs. Under Jats, he wrote that the Ladhar "tribe" is found in Sialkot and that it "claims descent from its eponym, a Rajput, through Kilas who settled in that [Sialkot] District" (iii. 9). Main: "...the Manj are wrongly shown as Main, a title which is said to belong properly to the Ghorewaha of Ludhiana" (Ibbetson 161). The Ghorewahas are Kachwaha Rajputs. "They say that Raja Man, sixth in descent from Kush [one of the sons of Lord Ram], had two sons Kachwaha and Hawaha, and that they are of the lineage of Hawaha (161). It is possible that some of the Ghorewahas became goldsmiths. Mandhari: Rose found them in Jind and listed them under the Mairs (530). Upon closer examination, there is also a Rajput tribe that Ibbetson called "Mandahar" who also belong to Jind. They are most probably one and the same. Ibbetson wrote about the Mandahar: "They are said to have come from Ayodhya to Jind,driving the Chandel and Bra Rajputs who occupied the tract into the Siwaliks and across the Ghaggar, respectively" (135). They are Suryavanshi (Solar) Rajputs, or descendants of Shri Ram Chander. Masaun: Rose wrote: "The Masaun claim their descent from a child born when his mother became satti at the chhala or masaan, the burning place" (441). Although the above statement regarding the mother's sati is a legend similar to the Jaura origin legend, the implied connection is that sati was a custom prevalent amongst the Rajputs. In addition, Rose mentioned the Masaun custom of revering Guga, the serpent. 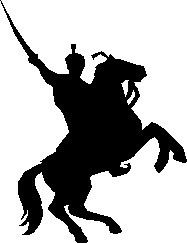 Similar to the Jaura gothra, this is a symbol of a warrior/Rajput heritage. Mitru: Ibbetson wrote that the Mitru Bhattis were originally from Bikaner in Rajasthan and settled in Multan (145). Nischal (Nichal): Rose wrote: "The Nichal trace their origin to the Yadu[vanshi] clan of the Bhatti Rajputs...They say that the Sur, Shinh and Jaura Sunars are all descended from a Raja Jandhan, as are the Randhawa, Sara, and Nijjar Jats. They too observe some old Rajput customs" (441). Pajji: "When the Raja of Lahore sent for warriors from Rajputana to oppose the Moslems, Pajji, a Mair Rajput, came and when the war was over settled at Pipanagari, now Pipnakh, a town which he and other Rajputs founded...Pajji's [descendants] remained Hindus and spread in all directions. Tenth in descent from Pajji was Rai Budho Mal, a charitable and mighty Rajput" (Rose 443). Plaud: "The Plaud claim descent from a saint Pallava whose name is derived from pallava, or leaf, owing to his worshipping beneath the leaves of a banyan tree" (Rose 441). Roda: On page 440, Rose gave his description of the Roda. "The ancestor of the Roda was a Rajput named Uch-bhuj who rebelled against Aurangzeb and shut himself up in the fort of Uch which lay 100 miles from Gakhar towards Jhang, and 7 miles from the bank of the Trimu River." He was forced to surrender but the Roda were kept by Aurangzeb to mint coins for him. After they were released from captivity, some of the Roda began to call themselves Bhutta. Some of them entered the army while the others began making ornaments. Because of their gotrachar, they claim to be Chhatri Rajputs. In addition, the Dhaumya Acharya, who was at the Ashwamedha of Yudisthira during the Mahabharat era, still ministers to the Roda. Rudra: Rudra is the Vedic deity of war and the destroyer of evil. He represented the same traits that Lord Shiva later came to embody. Like many other Mair Rajput gothras, this one by virtue of its very name is a strong candidate for belonging to the Rajput warrior heritage. Sadhiora: Sadhiora has several possible spellings. Originally "Sehdevra," it eventually morphed into "Sadhiora" and "Sudera." Within the past few decades, some members of this gothra modified "Sadhiora" into "Sehdev" to make it more easily recognizable. Mr. Harish Sehdev (Sadhiora) has sent me information regarding an ancestral temple that is located in the Jalandhar District of Punjab, in a small village called Lasara. CLICK HERE TO SEE PICTURES OF THE SADHIORA TEMPLE. "In the state of Haryana, in Yamuna Nagar District and close to Ambala, there is a small but ancient town called Sadhaura. There is an uncanny resemblance between the names Sadhaura and Sadhiora. Perhaps Nandi and her descendants were originally from Sadhaura. There is evidence of Chauhan Rajputs being present in the area of Sadhaura because the Chauhan rulers of Ajmer and Delhi brought Ambala District under their power in 1000 CE, and the Topara pillars in the area stand witness to this. But in 1192, Muhammad Ghori defeated Prithviraj Chauhan at the second battle of Terrain and took control of this district. So perhaps somewhere between the late 11th century and 16th century, a Rajput family migrated from this area to the Punjab. There are many reasons for this migration; the area of Sadhaura is noted in history because its Hindus were persecuted so widely under Islamic rule. For example, Banda Singh Bahadur, a Rajput Sikh warrior who seized territory for the Khalsa, liberated Sadhaura by killing its tyrannical ruler Usman Khan in 1709 because the Hindus were persecuted so badly by the Muslims. So probably between 1200-1500, a Mair Rajput family from Sadhaura migrated to Punjab and settled in Lasara village. To retain the history of their original ancestral town, they may have named themselves after the town of Sadhaura in Haryana." It is believed that the name of the town "Sadhaura" is derived from "Sadhu + Raha," which means "the way of saints." This meaning seems to be logical, as the way to the Himalayas is near this town. The town of Sadhaura also has a number of ancient temples. It is bounded by the Shivalik range to the north. Shinh (Sinh): Rose wrote: "The Shinh also claim descent from Rajputs, of a family called Shinh, and they too say that Bhatner was their original home. The burning place of their ancestors is believed to be at Ranghewala. Like the Jaura and Maldolia sections the Shinh claim to be Bhattis by origin and affinity with the Randhawa, Sikhu, Sara, and other Jats" (441). Shinh (Sinh) means "lion" (440). Sohal: Rose had listed Sohal as a Tank gothra but their Rajput origins are evident. Ibbetson described them as a Jat tribe: "The Sohal are said to be of Chauhan Rajput origin, their ancestor Sohal belonging to the family of Mahag" (124). Sur: Also see Nischal. Rose wrote the meaning of Sur as "hero" (440). However, that is inaccurate. Sur (Soor) is most likely derived from the word "shoor," which means "brave." Some Surs nowadays mistakenly state that Sur is actually a shortened version of "Surya," meaning "sun." Others prefer to write "Suri" as their last name. But I believe that the first explanation is true. A possibility exists of the Sur being one of the 24 branches of the Chauhan tribe named the Soora (Tod 81). However, this has not been proved. Contact the author:Rajesh Verma Go back to the Mair Rajput Home Page � Copyright 1998-2010. All rights reserved. No portion of this website may be used without permission from the author.